Palestine’s thriving underground music scene - in one of the most conflicted regions on earth – is being celebrated in a new documentary. ‘Palestine Underground’ from Boiler Room follows a week in the life of alternative Palestinian music collectives, up-and-coming techno DJs, and innovative hip-hop producers and rappers, in the lead up to the first Boiler Room party in Ramallah this summer. The film - released today - sheds light on the constraints placed upon these Palestinian artists, from their restricted freedom of movement enforced by the Israeli government to the midnight party curfew imposed by the Palestinian Authority, and shows that their scene is thriving in spite of it. ‘Palestine Underground’ is the first film to document the underground nightlife culture in Palestine. It offers a fresh and different insight into the lives of a minority of young Palestinians and subverts the Western media narrative surrounding Palestine. It follows Jazar Crew, a Palestinian music and arts collective from Haifa in the North of Israel. For the last 10 years, they’ve been defying Israeli law to travel to Palestine to play parties and collaborate with the scene there, which includes Saleb Wahad, Bltnm, Oddz, Makimakkuk and Sama’ - some of Ramallah’s most talented artists. One of the few techno DJs in Palestine, Oddz, regularly defies the apartheid wall and checkpoints to play in Palestinian-owned venues in Israel, risking three months imprisonment if caught. The story of Sama’, Palestine’s first female techno DJ and producer, is particularly fascinating in the context of the conservative, restrictive values of her society, although she sees this as something the whole world is guilty of. “The way I see it, many countries have conservative elements but somehow the world always points at the Arab World,” she says. Hip-hop singer and producer Makimakkuk says there’s a bourgeoning rap scene in her city. “The rap/trap and hip-hop scene in Ramallah is always growing and getting more and more interesting with new and special sounds and voices everyday,” she says. “As much as it shares common grounds with the rest of the hip-hop scenes around the world it is nonetheless very unique in its own way due to the unique cultural, social, political and economic aspects of the area." Makimakkuk says artists like her in Ramallah draw on a huge range of inspiration, from traditional Sufi music to traditional and classical Arab, Maghreb and Yemeni music as well as funk, disco, blues, jazz, Afrobeats, noisy and bass sounds. The film gives a rare insight into the lives of these counterculture activists. For those involved, music and partying isn’t just hedonism - it’s about cultural survival. Nightlife culture allows them to break down geopolitical borders, reconnect with their people, and celebrate their Arab identity on the dance floor. 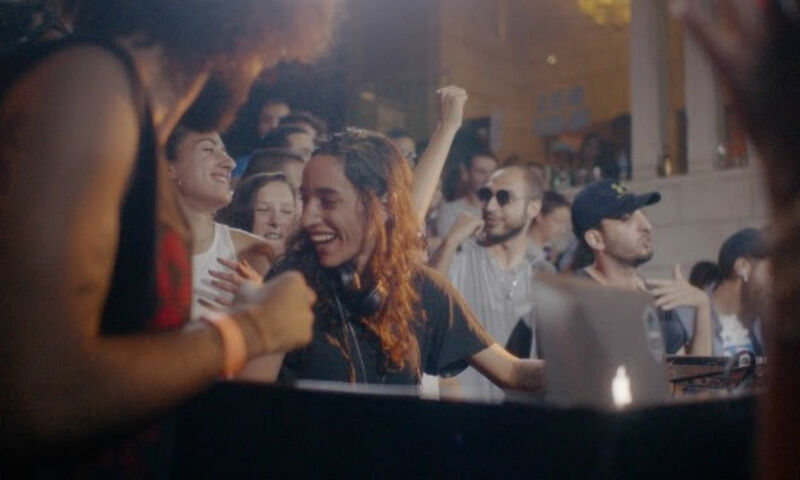 The film culminates in June 2018, when Boiler Room hosted its first ever party in Ramallah, the de facto capital of the Palestinian West Bank. Live streamed to an international audience of 260+ million, the daytime outdoor party hosted by Jazar Crew and friends showcased an underground music scene peacefully reacting against one of the toughest political feuds in history. Panic Zone: The Explicit Rise Of N.W.A.